Lightweight performance wear, experience what it's like to feel cool and dry in Under Armour's Baselayer HeatGear Kids Mid Short. Made from polyester and elastane, the thin and minimalist approach is designed for a snug fit to sit beneath other layers while the elasticated waistband helps keep the shorts securely in place during any action. With HeatGear providing a cooling and dry presence in the fabric, as the temperature rises then you'll still be left in complete comfort and able to perform. 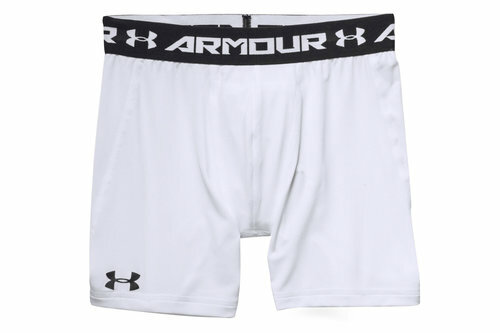 Sporting white and black look, 'Under Armour' wraps around the waist while their logo decorates the right leg.